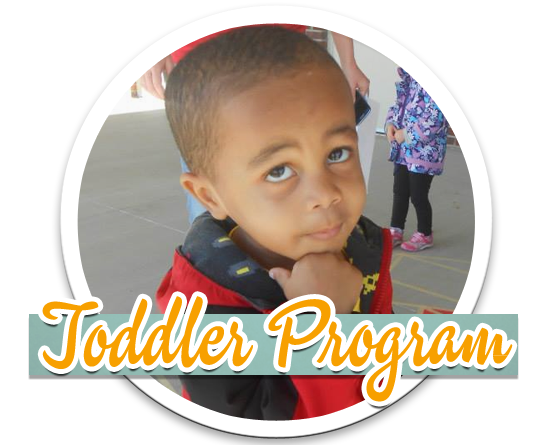 A continuation of the infant program, ABC’s toddler program takes a more active approach to your child’s development. Toddlers are experiencing the world in exciting new ways as they begin walking, talking, exploring on their own, and playing together. At ABC, the toddlers are encouraged to explore the world through activities that promote the understanding of language, the organization and manipulating of objects, and the development of social and emotional abilities. Our toddlers begin their journey into learning at ABC through exposure to letters, colors, numbers and shapes within their classroom environment. They are also exposed to Sign Language (self help) as additional means of communication. ABC’s program also includes the Baby Can Read program. We understand the importance of early literacy. By the age of 6 months, the children are exposed to the Baby Can Read program which is the foundation to a child’s life long love of reading. At ABC toddlers are encouraged to explore our interactive environment through activities that promote an understanding of the ever-changing world around them. Exposure to letters, colors, numbers and shapes begins your child’s journey into learning. By the age of 6 months, the children are exposed to the Baby Can Read program which is the foundation to a child’s life long love of reading.